Choosing a venue in the Capital Region is no easy feat. In Albany alone there are so many historic venues that we love, it’s impossible to pick a favorite! 90 State Events, which is located at- you guessed it, 90 State Street in Downtown Albany. Built in the early 1900’s as the National Savings Bank, the space still features much of the original marble and the original bank vault. 90 State Events can hold up to 400 guests, an ideal venue for larger weddings, galas, and corporate events. The venue features an open floor plan and mezzanine space which not only allows for unique seating options, but also creates different lounge spaces for your guests. 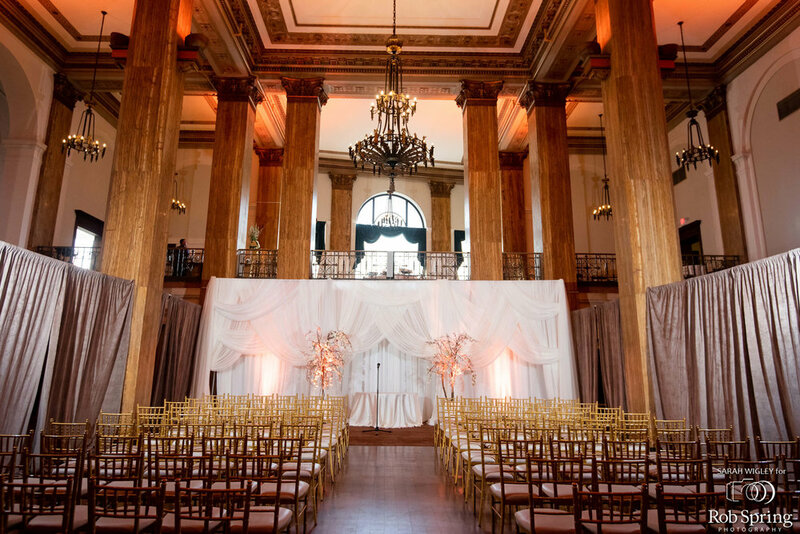 90 State Events differs from other venues with it’s unique interior architecture highlighted by columns, an intricate ceiling, and beautiful chandeliers. When planning an event at 90 State, all of your catering needs are taken care of by the Mazzone Hospitality team. Their expert event planners, chefs, and waitstaff will create a menu that perfectly compliments your event in addition to making sure everything goes off without a hitch! For events at 90 State, Total Events will make an impression on you guests the minute they walk through the door, with our signature illuminated chiffon drapery at the entrance. This signature look can also be featured as a stunning backdrop for your head table or behind the band! Planning your next event at 90 State Events? 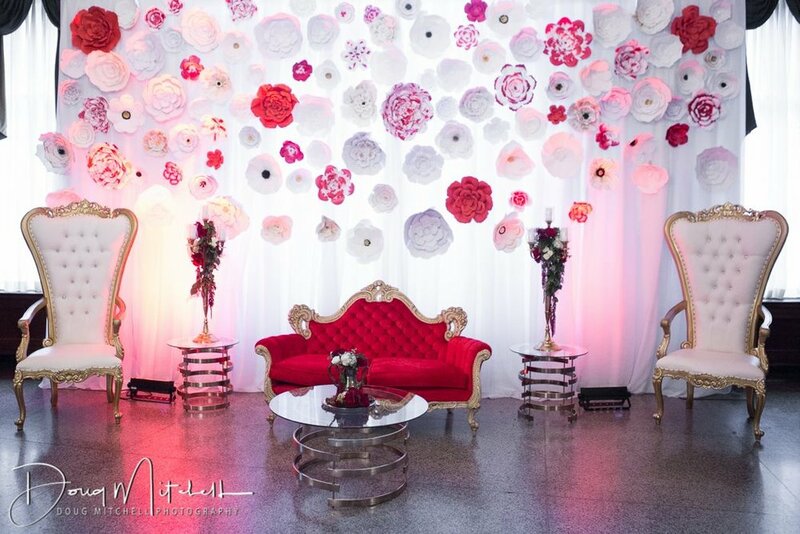 Contact us today to start your #TotalEventsTransformation!